To date, Mozilla community volunteers have provided user support for Firefox that has met and exceeded the needs of the technology users and the early adopters of Firefox. As Firefox’s market share grows beyond early adopters, our user support needs to evolve. This Firefox Support Working Group has spent the last month doing research and community outreach (see below for details) on how Mozilla should evolve user support through a community based approach. Why should we focus on Firefox support? Currently, Firefox support is spread across Mozilla.com, Mozilla.org, MozillaZine.org, in addition to many others. The way we present support options to users is verbose and overly confusing. 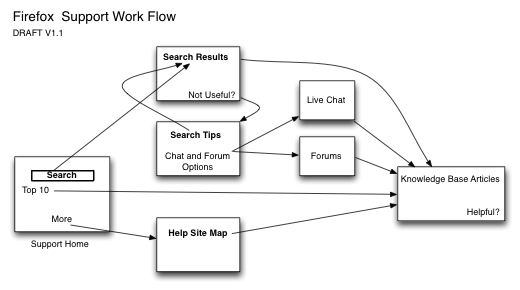 Support forums and live chat are communications channels for more complex questions not answered in knowledge base. 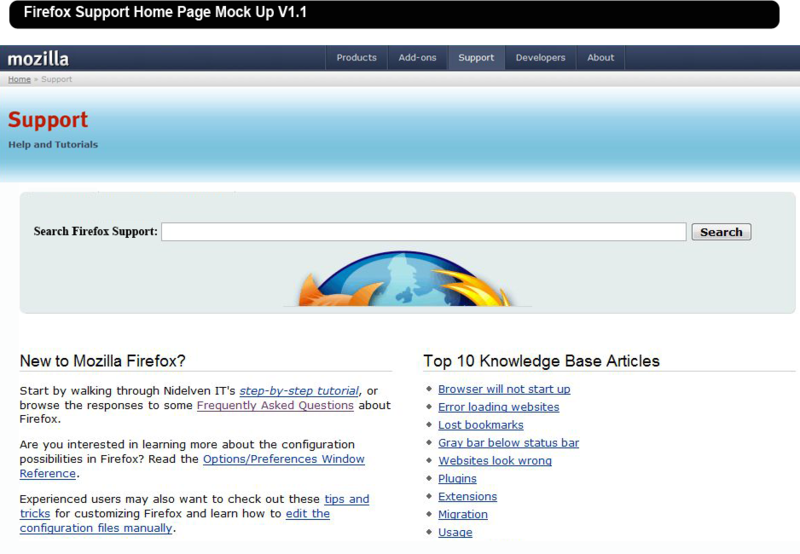 This page was last modified on 22 May 2007, at 01:02.